Jeff said: But the di322 wasn’t just a pretty face with nothing behind it. Its sound was full, big, and played deep -- deep bass, deep soundstage, wide dynamic range. It relished music that I like to play at high volumes with fist-pumping verve. 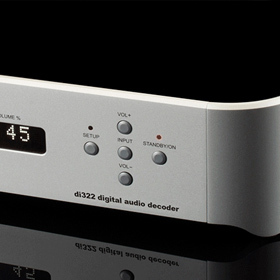 The gist: Jeff’s favorite DAC under $4k.